Hooded sweatshirt: Small through 5XL. I already own a t-shirt and a hooded sweatshirt from when I ran this same fundraiser last year. I can attest to the fact that they are comfortable and durable. These shirts are great conversation starters and an excellent way to raise awareness without even opening your mouth! 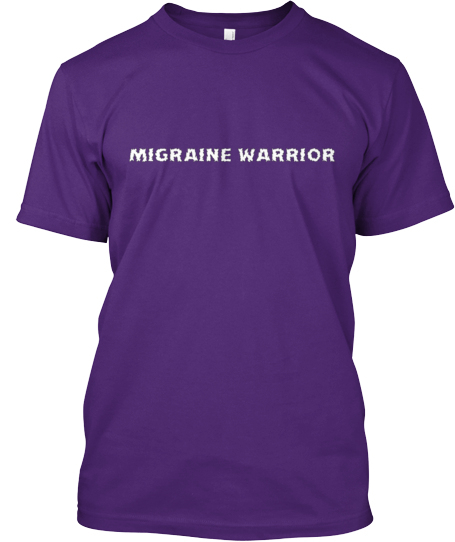 Basically, you’re raising money for an excellent cause, you’re raising awareness for migraines, you’re feeling comfortable, and you’re looking stylish. It’s a win/win! If you can afford it, consider buying one for a friend who can’t afford to purchase his/her own shirt right now. These also make great gifts. 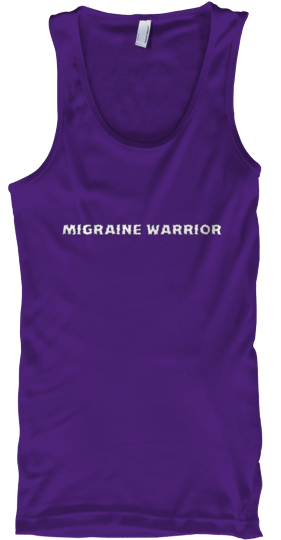 They are perfect for migraineurs and caregivers alike! 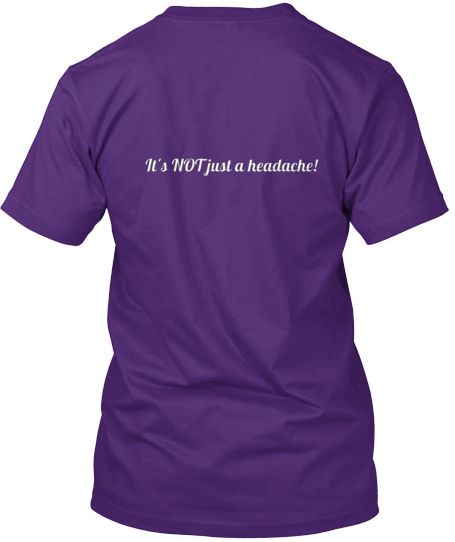 Follow the link below (or copy and paste it into your browser) to order your shirt (or shirts) today! Thanks to everyone who has purchased shirts and spread the word about this fundraiser!